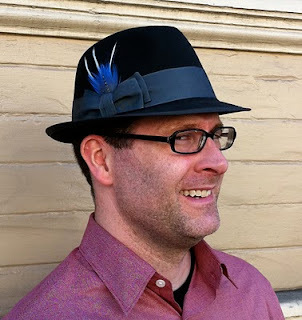 Just delivered the first hat custom-shaped with my conformer set, a Kingston fedora in charcoal felt with blue trim and vulturine feathers. 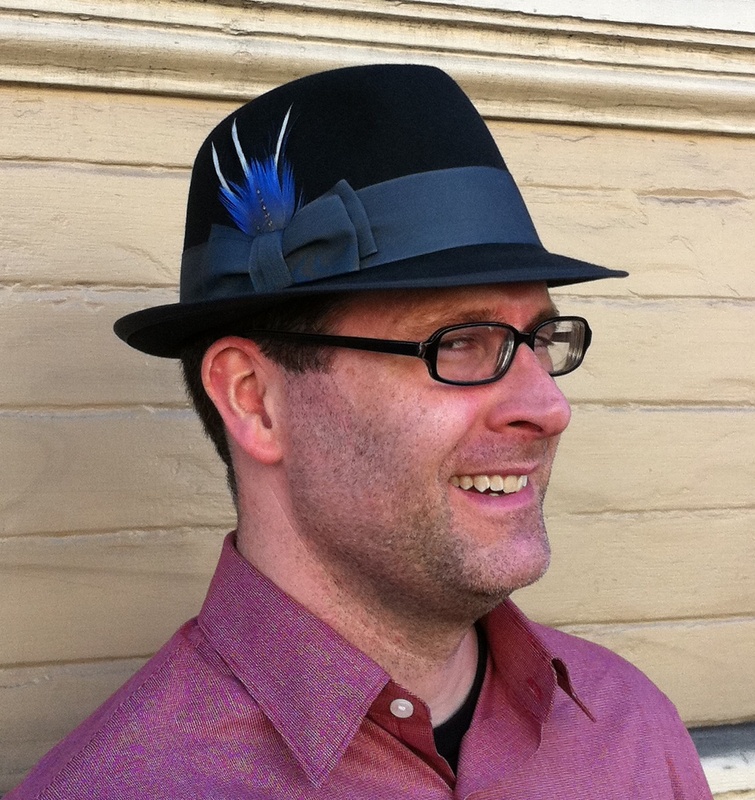 Justin had been having no luck finding ready-to-wear hats that fit comfortably, but his conformed hat is a perfect fit. Justin was really happy with it, he's wearing it to the SF Opera tonight. For those of you who missed my earlier post about this, the conformer (or conformateur) set is a fantastic and very rare 19th century machine used to customize a hat to the customer's exact head size and *shape*. The fit of a hat is a lot like the fit of a shoe- to be worn comfortably (or at all), the hat has to be the correct size and shape for the head. Mass market hat companies make all their hats to an average shape, which means that they fit a few people well and everyone else not so well. Many guys think that they have trouble fitting into hats because of the sizing, when usually it's the shape that's the problem. I am super excited to now be able to offer custom shaping this special service to my clients. All that's required is for me to have access to your head once to take the initial measurements, then even long-distance clients can be assured of a perfect fit. I'm planning to have a special case made for the set, so I can take it with me and measure long-distance clients when I travel. Who's next for a custom-shaped hat?